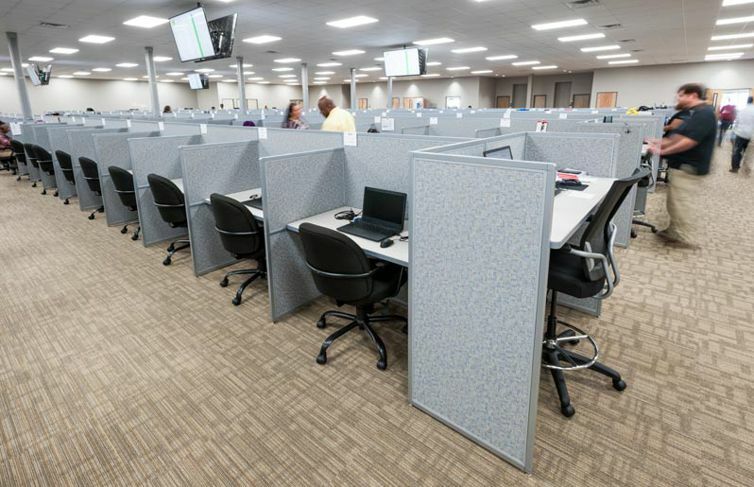 Call Centers are fast paced environments and supervisors and team leaders are key to supporting and supervising agents, and keeping them up to date on changing goals and metrics. 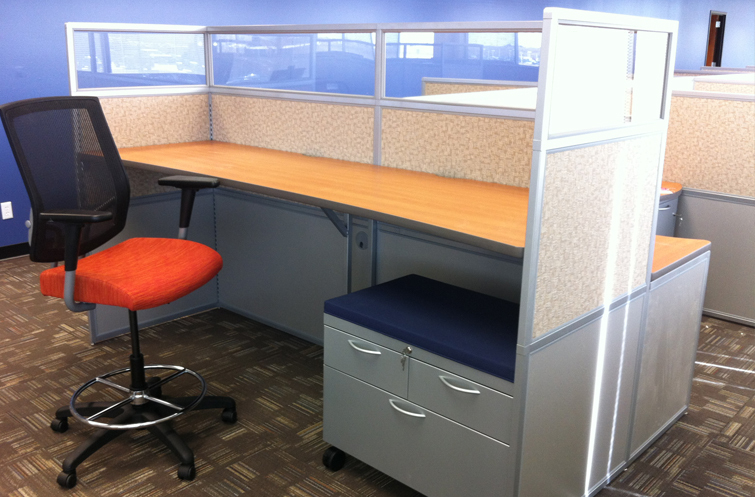 Our most popular design for supervisors is a standing height straight workstation at the end of a run of agent stations. 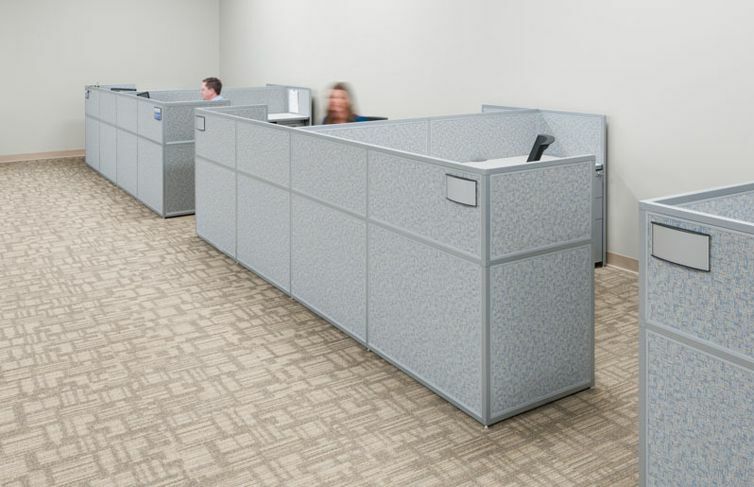 This standing height workstation gives team leaders the ability to see all agents and quickly move to agents that need assistance. Supervisors and team leaders are often in charge of communicating information. Incorporate tackable or marker board panels to easily share information. Tackable panels allow items to be tacked onto the workstation panel multiple times and in multiple places. Marker board panels are a popular option for the outside of supervisor stations since notes and goals for the day can quickly be jotted down and updated daily. Both of these panel options provide an easy and cost effective way to quickly update information as needed. Discuss your specific design needs with our experienced project managers. 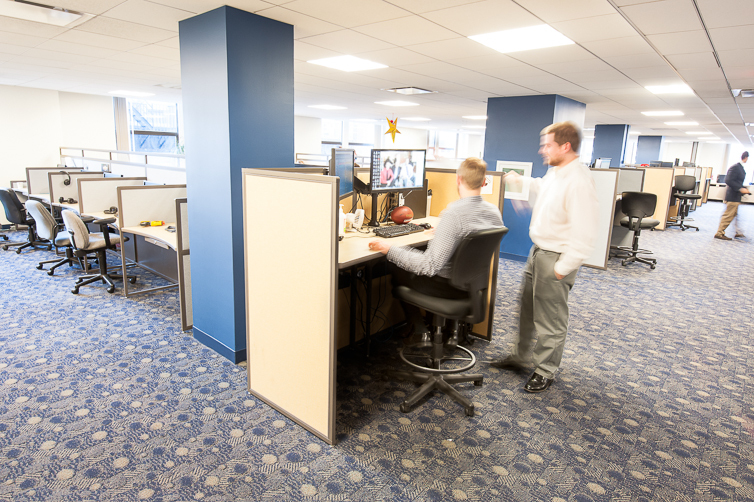 We have worked with contact centers across the country and can make design recommendations over an online ImagineIT! 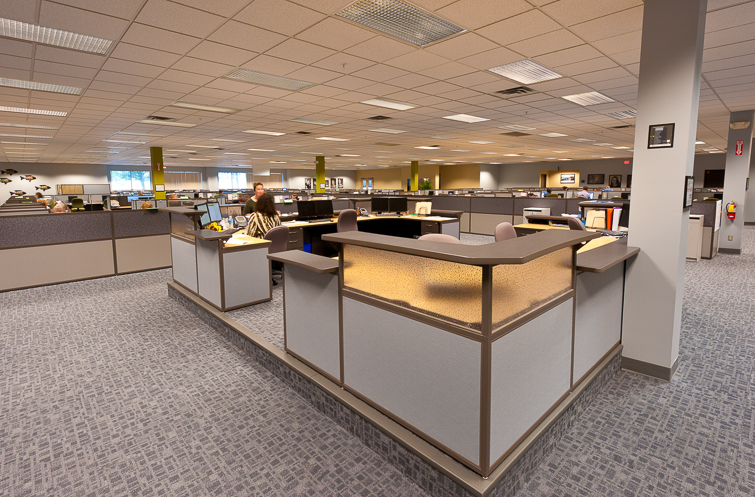 Design Session – free with your call center furniture quotation. 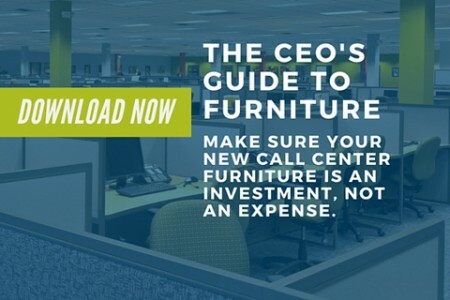 Fill out the request a quote form to get started on your project and download our call center furniture brochure and start visualizing your new space.